Where Will WALL STREET Wrap Up 2008? It’s easy to look back at everything that happened in recent history and say, “I saw that coming.” But how good are you really at predicting the future? Wall Street’s top forecasters have some good news and bad news for 2008. Many think stocks will head higher but that unemployment will rise and the overall economy will slow. In other words, 2008 is going to look an awful lot like 2007. Despite falling housing prices and the subprime mortgage meltdown igniting fears about a broader economic slowdown. Subprime mortgage meltdown? The worst is over. 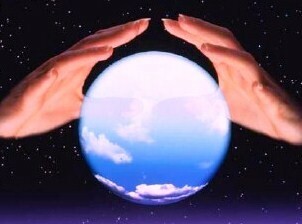 The coming year will be challenging for stock investors and you don’t need a crystal ball to make that prediction. However, since investing is always about future results, what do you think 2008 will be like for the stock market? Odds are it will be very much like the latter part of 2007, at least through the first four to six months. The credit and housing crisis is not going away. The economy will continue to slow or hold its own at best. The big question on many investors’ minds is will we slip into a recession and will the market follow it into a full bear environment. The situation in the Middle East looks even more unstable than ever. Russia has become a trade competitor and policy foe, armed not with rockets but oil. Oil at record high prices will continue to wreak havoc on global economies. That’s been already accounted for. U.S. will retain its leadership position in financial markets, but with a dollar that is a shadow of its former self, our influence in the global economy isn’t what it used to be. Stirring things up to a boil will be presidential politics leading to the November election of a new president. You know things are bad when South American super-models demand payment in euros instead of dollars. So, what do you think? Where will the market end 2008? Previous story Moving into 2008: Do You Have A Financial Plan Ready? Thanks for your comment mate. I think the same too, more or less like 2007, but then you never know, no one can accurately predict the stock markets. After reading Byron Wien’s “Predictions for 2008” this week on Bloomberg, I am reminded that Mr. Wien gets about 5-6 of them right every year. If that holds true for 2008, it is hard to imagine the US market making much progress with his targets for inflation, gold and unemployment. And (unfortunately) I think he may be right with his prediction of Barak Obama winning the Presidency with the results in Iowa last week and the expected result in New Hampshire tomorrow. If you haven’t read Mr. Wien’s annual prediction list, it is easy to find on http://www.bloomberg.com…great site!